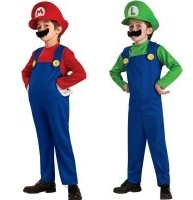 This costume has a built in muscle chest and the bootcovers are attached to the legs. 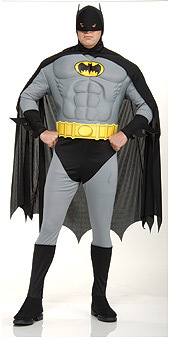 There is a cape with the Batman headpiece attached to it and a separate belt. We also stock the caped crusader's boy wonder, Robin, so if you want to save the world (or just Walkden), you're welcome to come and try our costumes on.